At this difficult time, we offer our deepest sympathies. Once we receive your claim information, we will review our records to verify that the coverage is in force and verify the beneficiary(ies) named on the policy. You may be eligible for our Fast Track claims process. Please call the Claims Department at 1-800-638-8428 and we will let you know what is needed to properly evaluate your claim for the Fast Track process. A packet of information will be provided to you or the person you have indicated to receive the materials. We can provide the information via email, fax or regular mail. The information will include claim form(s), the name(s) of the person(s) or entity who will need to complete the claim form(s), a Lost Policy Form and a list of any additional information we will need to pay the claim. Complete the Proof of Death Claimant’s Statement. If there is more than one beneficiary, please ensure each claimant completes the Statement. We require the original signed Statement with original signatures. Obtain a certified copy of the insured’s/annuitant’s death certificate. The death certificate must contain the cause and manner of death. We will not be able accept a death certificate with a “pending” cause of death. Only one certified death certificate is required per insured with multiple claimants and/or policies. The death certificate will not be returned. Include the original policy, if available.You may make a copy for your records. If the policy is not available, be sure to complete the Lost Policy Form provided in the claim packet. If the beneficiary is an estate, the Claimant’s Statement should be completed by an administrator or executor of the estate and a Certified Court Certificate of Appointment must be submitted with the Claimant’s Statement. If the beneficiary is a minor, the Claimant’s Statement should be completed by the guardian of the minor child’s financial affairs and a Certified Court Certificate of Appointment must be submitted with the Claimant’s Statement. Please note that the guardian of a child’s financial affairs is different than being a guardian of the minor person and is appointed by the courts. If a trust is the beneficiary, the Claimant’s Statement should be completed by the trustee(s) of the trust and we will require a copy of the trust agreement and the trust tax identification number. If there are multiple trustees, each current trustee must sign the Claimant’s Statement in his/her capacity as co-trustee, unless the trust document confers on one trustee the authority to act alone. If there is a collateral assignment, the assignee will need to complete a Claimant’s Statement. If the collateral assignment has been released, we will need a release of assignment signed by the appropriate person/officer. If you are signing the Claimant’s Statement as the power of attorney for the claimant, you must submit a copy of the executed power of attorney papers which give you the power to collect the proceeds. You must sign the Claimant’s Statement and indicate your capacity as “power of attorney for the beneficiary”. If the primary beneficiary is deceased, submission of a copy of his/her death certificate will be acceptable proof of his/her death. If the beneficiary’s name has changed since the last beneficiary designation, we require a copy of the marriage certificate, divorce decree or court document indicating the name change. 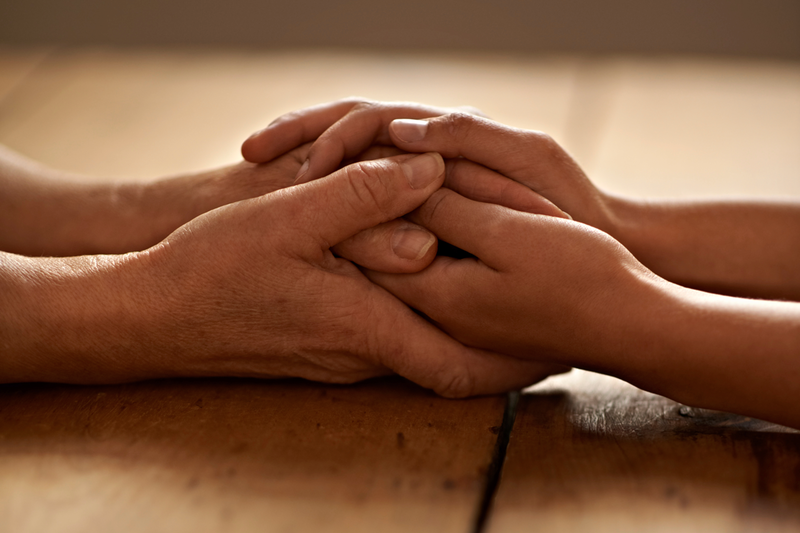 If the death claim proceeds are to be assigned to a funeral home, all designated beneficiaries must complete an appropriate assignment form (provided by the funeral home), which must be submitted to us along with the a completed Claimant’s Statement from each beneficiary. If the beneficiary designation names "surviving" children or siblings or other similar grouping, we will provide you with an affidavit that will need to be completed and notarized by each beneficiary. The affidavit simply indicates the name of each survivor. Note, we may require additional information/documentation including a cancelled passport, a copy of airline tickets, funeral/cremation bills, remains transport information/bills, or any other information we deem necessary based on the specific circumstances of your claim. To avoid delays, you should contact us immediately for detailed instructions. If the insured’s death occurred within two years of the issue date of the policy, reinstatement of the policy or an increase in benefit, further investigation will be made in order to confirm information provided at the time the application for insurance was completed and/or delivered with payment made. Please ensure that you provide us with a signed HIPAA Authorization form, attached at the end of the Claimant’s Statement. While we endeavor to complete this investigation quickly, it depends upon many factors that are often out of our control and we appreciate your understanding as we work through this process. On behalf of Legal & General America, please accept our condolences on your loss. We understand that this is a difficult time so we want to make it easy for you to file a claim. If you have any questions or would like to speak to a claims representative, please call 1-800-638-8428 extension 6974. If you have any questions or would like to speak to a claims representative, please call Call: 1-800-664-6129.